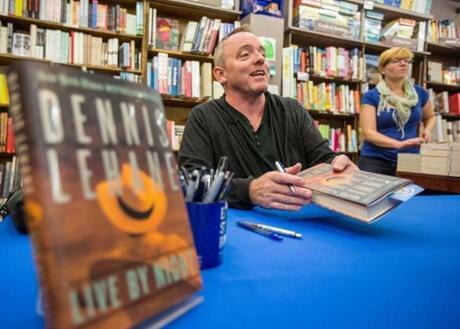 THRILLER: Author Dennis Lehane signs his new book for fans at Brookline Booksmith on October 1. 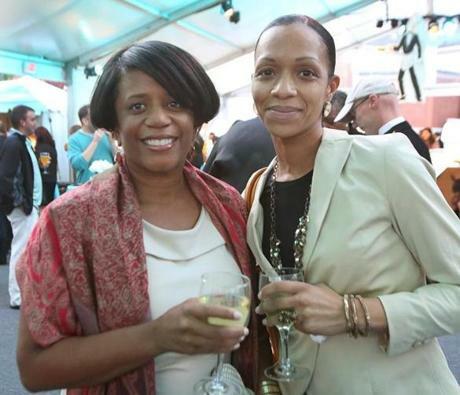 TO THEIR HEALTH: Lisa Harris and Lina Ribeiro, both of Boston, at the Codman Square Health Center in Dorchester for a fund-raiser on September 27. 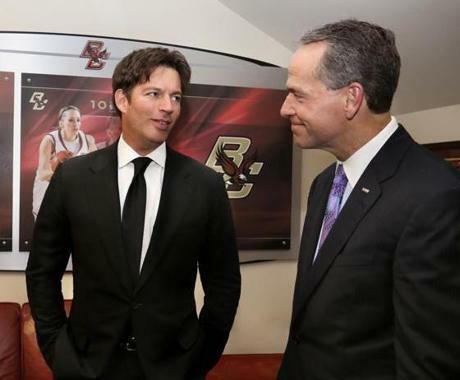 EAGLES FANS: Musician and singer Harry Connick Jr. with Boston College trustee John Fish at the annual “Pops on the Heights” campus concert in Chestnut Hill on September 28. 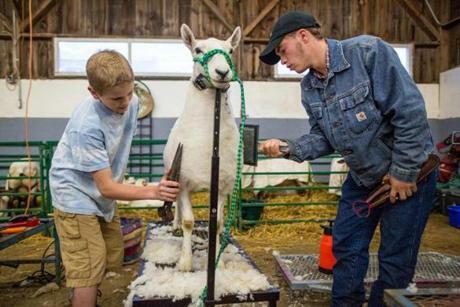 COAT CHECK: At the Topsfield Fair, Sam Besse, 12, of Littleton prepares his sheep Lily for competition with the help of Colin Siegmund on September 28. 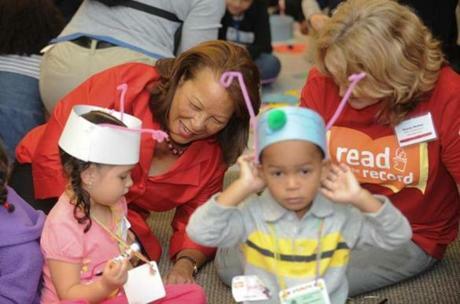 FIRST PRIORITY: Massachusetts’s first lady, Diane Patrick, visits with children at the central branch of the Boston Public Library as part of Jumpstart’s Read for the Record day on October 4. 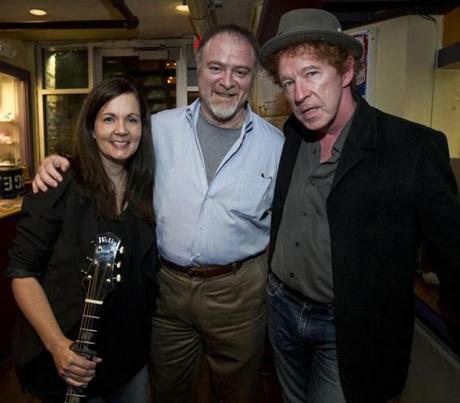 VOICES OF HOPE: Singer/songwriters Lori McKenna and Dennis Brennan flank Dr. Steven Zeitels at a benefit for Mass. General’s Voice Health Institute held at Harvard Square’s Club Passim on September 30. 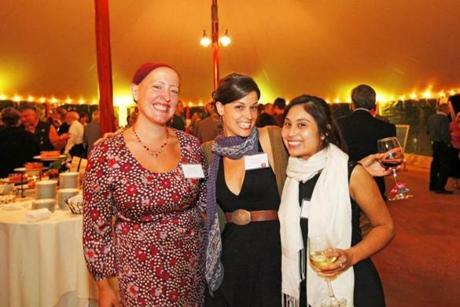 ART ACTIVISTS: Eryn Johnson, Laura Smith, and Andrea Landin, all ArtCorps alumnae, at the nonprofit community-activism program’s annual Fiesta fund-raiser, held in Topsfield at the Willowdale Estate on September 20. 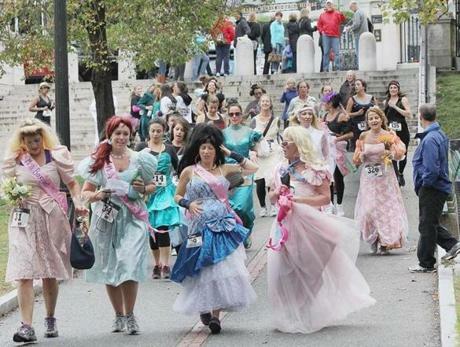 RECYCLED CHIC: Runners wore their wedding “best” for Running With the Bridesmaids (here, on Boston Common), a fund-raiser for the Big Sister Association on September 29. See yourself in this gallery. E-mail party and event photos to outandabout@globe.com.